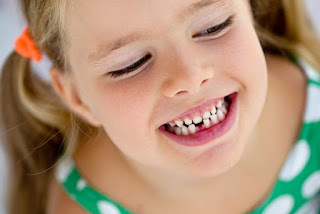 Why Primary Teeth Are Important - Adelberg Montalvan Pediatric Dental PC & Orthodontics too! Primary teeth play a number of roles, thus they affect many major developments in a child’s life. Primary teeth, also known as baby teeth, are necessary for the purpose of proper chewing, and eating. They help in the proper development of jawbones and muscles. In addition, they serve as space holders for permanent teeth – this is crucial for the proper alignment of permanent teeth. Crooked or crowded teeth can make it difficult for some children to smile properly, therefore, maintaining proper oral hygiene in toddlers is very important. Not many parents are aware of the fact that a good dental hygiene is necessary for children because a baby’s 20 primary teeth are present within the gums at birth. It is normal for tooth eruption (teething process) to begin as early as 3 months of age. However, there’s a misconception held by many people that primary teeth aren’t as important as permanent teeth since they’re bound to fall out soon. This is an erroneous belief because primary teeth act as guides for the adult teeth to erupt into right places. Not only do they ensure proper alignment by holding space for the mature teeth but they also allow children to smile comfortably. When baby teeth are lost through tooth decay or any other health issue due to a poor hygiene, there are chances that adult teeth will come in crooked or appear very misaligned. When a baby tooth is lost prematurely, the permanent teeth can move or drift into the empty space, affecting the teeth arrangement of the incoming teeth. This is why we must make sure we work on our children’s oral health from infancy. It’s crucial for us to monitor the health of our children. You can learn more about how to adequately provide a proper dental hygiene to your children by contacting the professionals at Adelberg Montalvan Pediatric Dental. Schedule an appointment with our highly-trained, board-certified care providers today!